Ever wanted to curl up like a burrito? 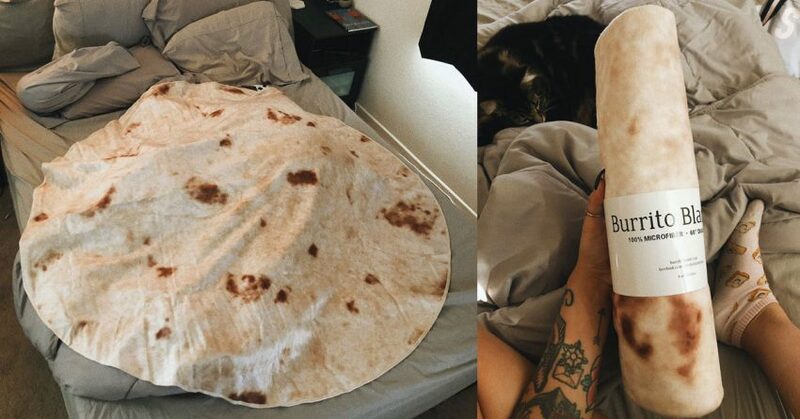 You can now buy a blanket that looks a like tortilla. Behold, the Burrito Blanket! It’s exactly what it sounds like, a blanket that looks just like a tortilla. Pull it around you and wrap yourself up tight and before you know it, you’re a human burrito. A Twitter user @katreenawhh recently tweeted photos of her burrito blanket, and burrito lovers made the photos go viral.